Hand Taking Eggplants From Crate. Description: Hand taking eggplants from crate. 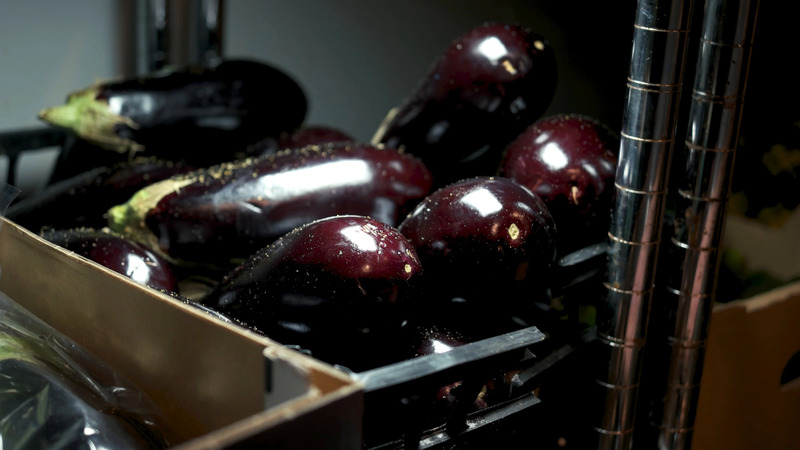 Aubergine close up.